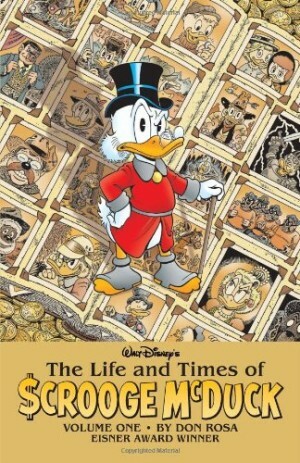 Don Rosa’s The Life and Times of Scrooge McDuck is the most acclaimed duck story since the work of Carl Barks, but has an ambition and scope exceeding anything produced by Barks. When asked by Disney’s Scandinavian arm to produce a biography of Scrooge McDuck, Rosa decided only the Carl Barks material would be considered canonical, then set about re-reading every Barks story, noting any biographical reference. As Barks had no thought of continuity when creating the stories, these were few, often just a throwaway boastful comment, and occasionally contradictory. From the slim scraps Rosa created a twelve chapter magnum opus tracking Scrooge from birth to the point that Barks introduced him to Donald Duck as a bitter recluse in ‘Christmas on Bear Mountain’ in 1947. The research method of creation shouldn’t give the impression that the result is somehow dry and reference heavy. Rosa constructed wonderful stories around the snippets he mined, adding to the mythos and defining and enriching Scrooge’s character along the way. Some chapters, such as one set in the Australian outback are constructed around a single offhand comment in Barks’ material, in this case noting that Scrooge had once been mining in Australia. Rosa tends to self-deprecation about his art, yet without foundation. Few artists have managed to consistently provide Disney’s ducks with the full emotional range in a convincing manner, and Rosa’s among that elite. His Scrooge radiates character, pugnacious when protecting his money, terrified when first riding a horse, conniving as he negotiates a deal, yet also tender, and very occasionally happy. The incidental elements with which he packs his material extend way beyond his mentor. Barks certainly delivered some stunning pages and didn’t stint on backgrounds, but it wasn’t really until his later paintings that a wealth of detail cascaded forth. 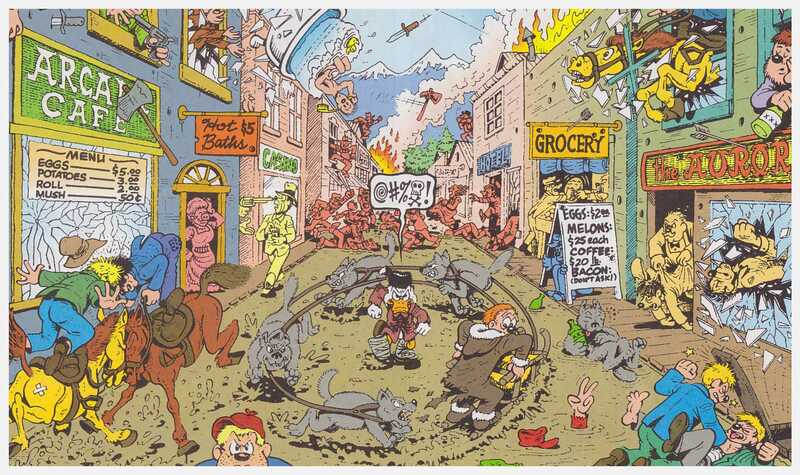 Rosa incorporated background gags that packed in as much detail as Leo Baxendale’s 1950s work. Take a look at the scowling and determined Scrooge having mined his first gold, single-mindedly striding through the mud of lawless Dawson while surrounded by mayhem. 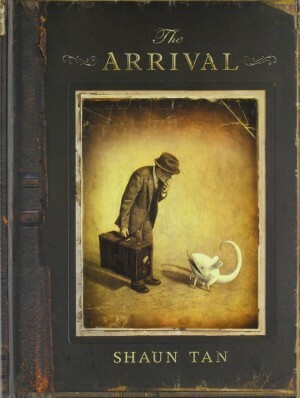 It’s magnificent, and every re-reading delivers visual gags that have previously slipped by. 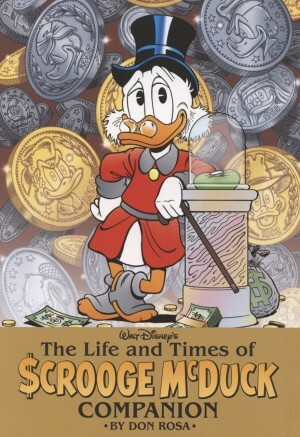 Before finally consolidating his immense wealth, Scrooge experiences several false starts, and in the Barks tradition, the stories are set around the world. The locations are the most inhospitable areas of every continent, yet Scrooge tames them. We also meet almost all characters associated with Scrooge, some as their ancestors. Much has been made of Scrooge’s lucky first dime, the first coin he ever received in payment for work as a child, and Rosa reconciles this being American currency when Scrooge’s childhood was in Scotland, weaving a pivotal developmental moment out of the incongruity. Yet Rosa also establishes that despite what Magica de Spell might believe, luck and superstition played no part in establishing Scrooge’s vast fortune. The over-riding message is that hard work eventually pays off, and to try, try, and try again. 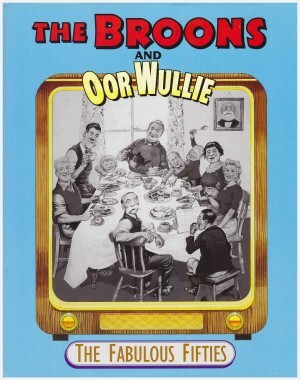 This is an immense work, sadly under-valued by those who have no time for cartoon ducks. The first English language book publication was over four European size albums from Gladstone, covering periods 1877-1882, 1884-1887, 1896-1902 and 1902-1947 respectively. More comprehensive reviews of the content appears under those titles. 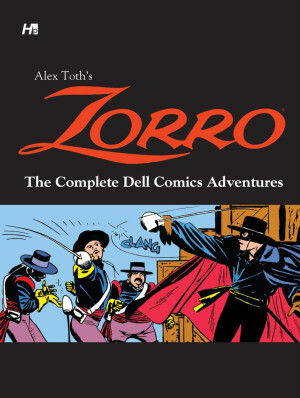 A 2005 Gemstone paperback edition compiled these in standard graphic novel size, including considerably more background material. As he enjoyed researching the historical aspects of the series so much, and having delivered a coherent timeline, Rosa continued to produce tales from Scrooge’s past. 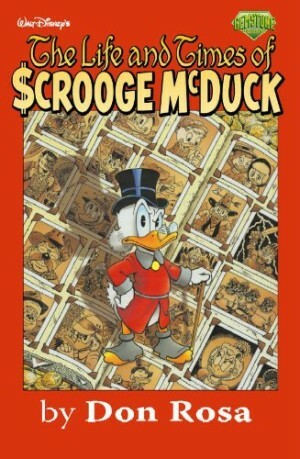 These are also collected in hardback as The Life and Times of Scrooge McDuck Companion, and almost as good.